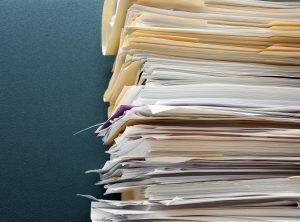 Document Management Solutions are required in many industries and can represent a significant savings to firms looking to streamline workflow, save costs and obtain regulatory compliance. With Miken’s Document Management Services, you can avoid spending minutes or hours searching for a document, free up office space otherwise taken by file cabinets full of paper, and reduce the pressures of an increasingly regulated, highly competitive business ecosystem. Miken will provide you the DocuWare Document Management Solution to meet the requirements for managing your business documents in any electric format. DocuWare provides a wide range of Enterprise Content Management solutions for all types of industries. Count on DocuWare for your document managment, records management and compliance solutions. We can provide immediate access to documents and can significantly reduce the time and resources to complete business processes. That means your users can spend less time searching for documents and more time on high value tasks. Our solutions are widely used and respected across the world for their intuitive interfaces and workflow capabilities. Interested in learning more about our Electronic Document Management Services? Fill out our contact form and we’ll be in contact with you shortly!